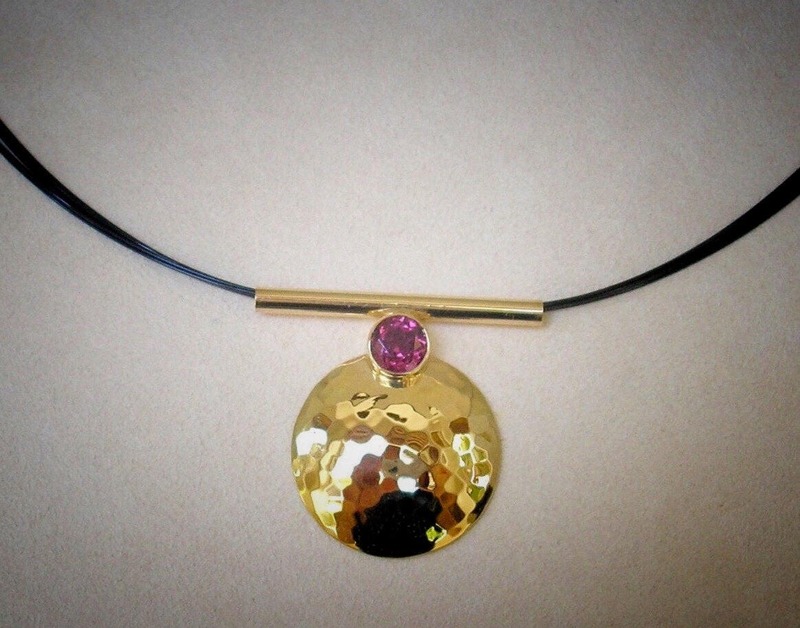 This is a 14K YG pendant featuring a hammer-finished round domed disk suspended from a 6mm round bezel-set Rhodolite Garnet, which is attached to a tube through which the black steel neckwire glides. Neckwire has 14K clasp as well. A very modern and easy-to-wear look!